If you’ve ever owned a car, you know how expensive auto insurance can be. According to AAA, a medium sedan costs an average of $1,106 per year to insure – about 15% of the total cost of owning the car. Drivers pay more each year for insurance than they do for maintenance, tires, or even gas. 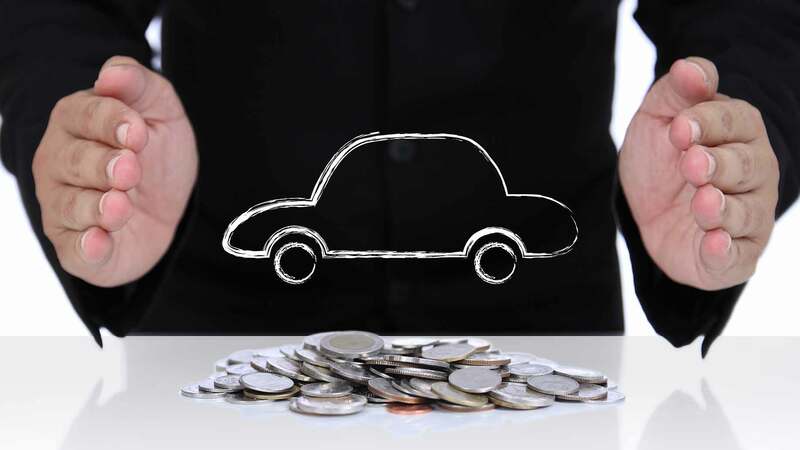 There are a lot of different factors that affect your auto insurance rates. Some of these, like your age and gender, aren’t under your control. Others, like your job or where you live, aren’t really practical to change. It’s not worth switching jobs or moving to another state just to insure your car more cheaply. However, there are some insurance costs that you can control, especially if you understand what’s in your auto policy. You can make changes to your policy to lower the price or make changes to your behavior that make you look like a better risk to insurers. With the following tips, you can lower your insurance premiums by hundreds of dollars a year. If you think you’re paying too much for your auto insurance policy, you might be right. 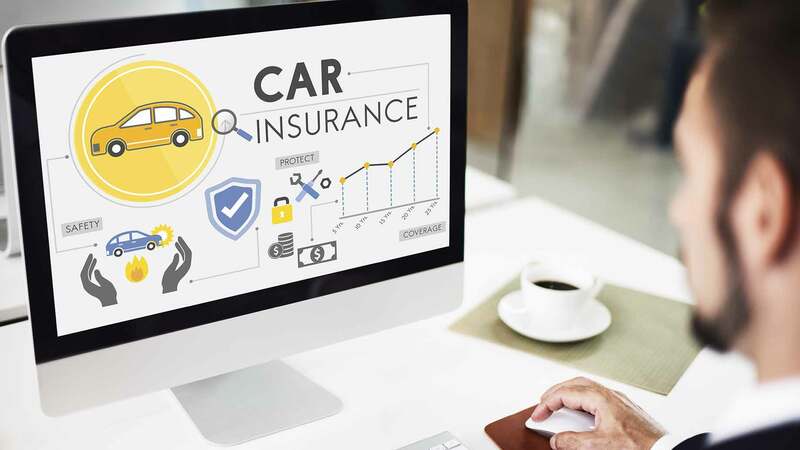 Insurance rates vary widely between companies, so it’s possible you could get the same policy from a different company for hundreds of dollars less per year. The question is, which one? There’s no single auto insurer that has the best rates for everyone. All those TV ads that say, “drivers who switched from company A to company B saved an average of $351 per year” are telling the truth – but not the whole truth. Yes, the drivers who switched to company B saved money. What the ads don’t mention is all the drivers who chose not to switch because company A was cheaper for them. The best way to find a better rate on your policy is to get actual quotes from several different companies. You just enter some basic information about yourself, your car, and the coverage you want. The system then uses that info to get quick quotes from several insurers at once. If you see a quote you like, you can contact the company to order a policy. 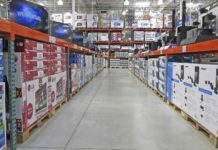 Before you switch, make sure the company has more than just good prices. You also want them to be easy to work with if you have an accident or some other problem. To see how a particular insurance company measures up, check its customer satisfaction ratings from J.D. Power. You can also check the Better Business Bureau to see if there are any complaints about the company. If you like the insurer you have and would rather not change, you can use the better offer as a bargaining tool. Tell your current insurer about the other quote and ask if they can match it. There's a good chance they'll be willing to meet the lower rate or at least drop their prices a bit in order to keep your business. If the company refuses to haggle, you can always go ahead and make the switch. Most people know that you can get a health insurance plan through your employer. However, not many people know that at some companies, you can also buy car insurance this way. These group insurance plans often have lower rates because it's cheaper for insurers to cover a large group than a lot of individuals. Group auto insurance can have other perks, too. For instance, some plans offer discounts on car rentals, services such as towing or repairs, and parking in certain garages. In some cases, you can even have the premiums taken straight out of your paycheck. The downside is that you don't get to choose your insurer. Plus, you lose your policy if you change jobs. Big organizations are the most likely to offer this deal. The more employees a company has, the easier it is for it to get a bargain on group insurance. Also, some car insurance companies offer group rates to their own employees. To find out if your employer offers group auto insurance, talk to the human resources department. Note that even if your company has this deal, it may be only available for some workers. Eligibility could depend on your job title, the number of hours you work, or how long you've been with the company. Your job isn't the only way to get a group auto insurance policy. You can also get this deal through certain professional organizations, alumni associations, and honor societies, and hobby groups. If you belong to any groups like this, check their websites to see if they offer this perk. 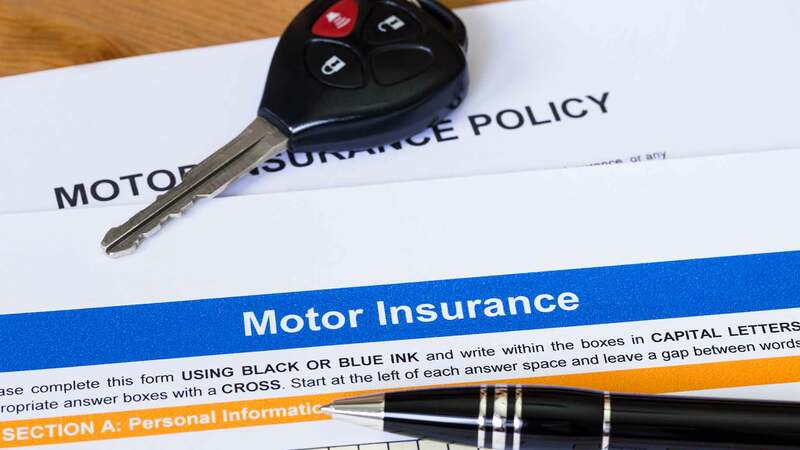 The only kind of auto insurance that's required by law is liability insurance, which pays for injuries and other damage you cause to other drivers. However, many drivers choose to pay extra for other types of coverage. For instance, collision coverage pays for damage your car suffers in an accident. Comprehensive coverage pays for loss due to theft and other types of damage, such as storm damage or vandalism. This extra coverage can be quite expensive. Research has found that adding collision and comprehensive to an insurance policy increases the cost by anywhere from $600 to $2,000. In many cases, that's more than half the total cost of the policy. If you drive an old clunker, you'll probably never get your money's worth out of this extra coverage. The amount it pays out is never more than the car is worth. For example, if your car is worth only $800, the most you can get back after an accident is $800 - possibly less than you're paying for the coverage itself. 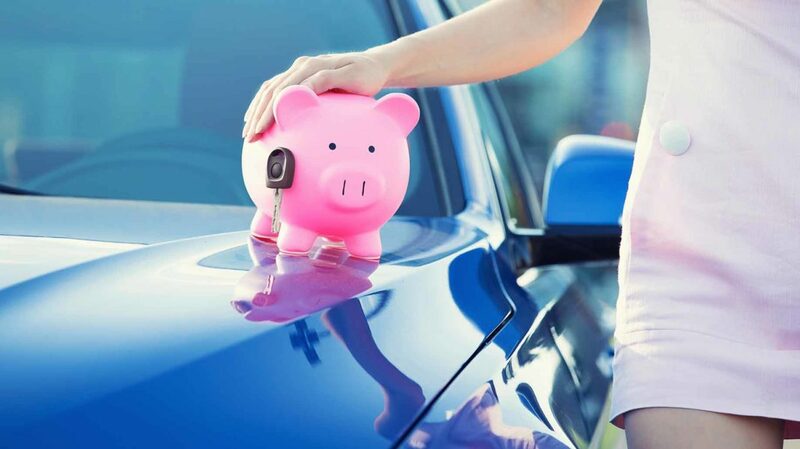 You can find out what your car is worth by checking Kelley Blue Book or TrueCar. If the value of the car is less than ten times what you're paying for collision or comprehensive insurance, the Insurance Information Institute says the coverage isn't a good deal. On average, people with this type of coverage only make a claim once every 11 years. So if you pay the premiums for 10 years, and on the 11th year you make a claim, the amount you get back will be less than what you paid in. Here's a better idea: Drop the coverage and put the extra money into a special repair fund. That way, if you have an accident, you'll have the money for repairs already set aside with no paperwork to fill out. You can also use this fund to cover the down payment on a new car if your old one dies completely. Another type of coverage you might not need is uninsured motorist bodily injury coverage. This pays for your medical bills if you're hit by a driver who doesn't have insurance. However, if you have a good health insurance policy, your medical costs should be covered already. So long as your health insurance gives you full coverage for injuries from auto accidents, there's no need to pay for your car insurance to cover the same thing. If you decide to keep your collision and comprehensive insurance, you can save money by raising the deductible. This is the amount you have to pay out of pocket each time you make an insurance claim. For instance, suppose you need $1,500 worth repairs after an accident. If your deductible is $500, you pay the first $500 and the insurance pays the other $1,000. The higher your deductible is, the less the insurance company charges you for the coverage. 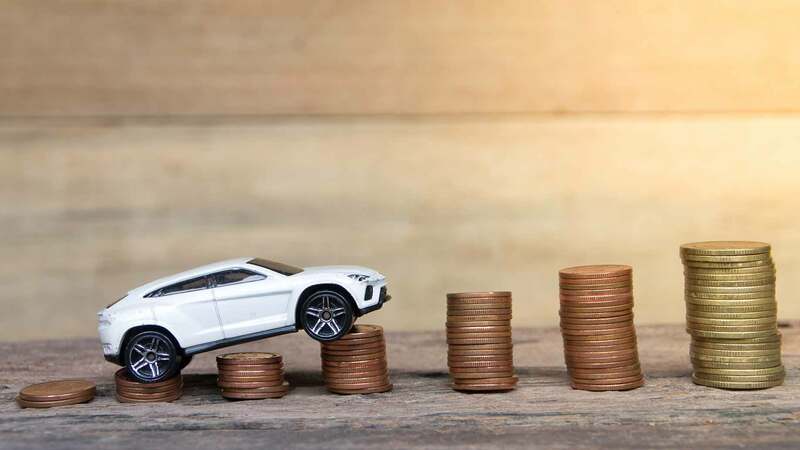 According to Kelly Blue Book, if you raise your deductible by several hundred dollars, you can lower your premiums by anywhere from 15% to 40%. For instance, suppose you're paying $500 a year right now for collision and comprehensive with a $500 deductible. If you raise that deductible to $1,000, you could save as much as $200 a year. Of course, doing this means that if you have an accident, you'll have to come up with an extra $500 to pay for the repairs. Fortunately, there's an easy way to do this. Just take the $200 a year that you save on the policy and set it aside in a repair fund. After two and a half years, you'll have enough money to cover your repair costs. Any savings after that point are yours to keep. Buying More Than One Policy. If you buy your auto and homeowners insurance from the same company, you can save between 10% and 20% on each policy. However, that doesn't mean bundling is always the best bet. In some cases, one company can give you a great price on auto insurance, while another has the best rate on homeowners insurance. Buying these two policies separately could cost less than buying everything from one company, even with the discount. Consumer Reports found that single drivers who bundle their auto and home insurance save about $97 on average. Insuring More Than One Vehicle. Insuring two cars on one policy typically costs 10% to 25% less than having two separate policies. Insuring More Than One Driver. 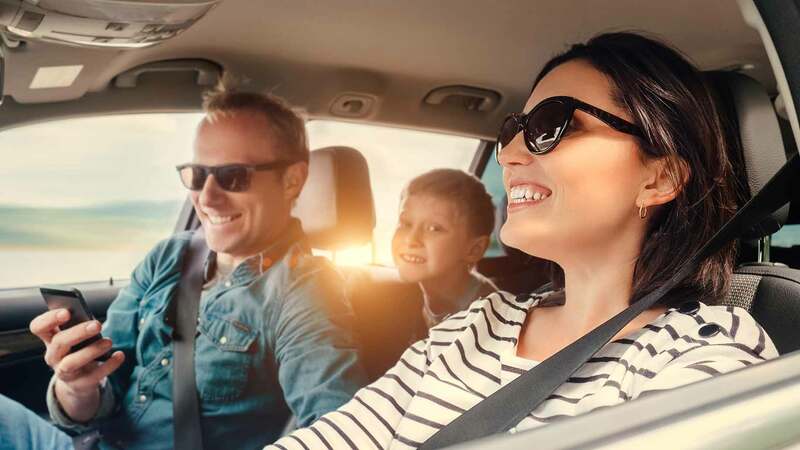 Having all the drivers in your family on the same insurance is almost always cheaper than having separate policies for each one. The only exception is if one driver has a truly awful driving record. In that case, it's better for that driver to buy a separate policy from a special high-risk provider. The more miles you drive each year, the higher your chances of being involved in an accident. That's why many insurers offer special low-mileage discounts to people who drive less than average. Drivers who carpool to work can also qualify for this discount. According to a mileage study by Quadrant Information Services, people who drive only 5,000 miles a year save an average of 8.4% compared to people who drive 15,000 miles a year. So if you don't drive a lot, it's worth checking to see if your insurer offers this discount. If your insurer has a mileage discount, but you don't qualify for it, see how much you would have to cut down on your driving to get it. You might be able to shave off hundreds of miles each year by carpooling, combining errands, or biking to work. If your mileage is really low, try looking into pay-per-mile insurance. With this option, also known as usage-based insurance or pay-as-you-drive, your insurer doesn't charge you a fixed amount each year. Instead, it puts a monitor on your car to track how many miles you drive. Then it charges you a fee each month based on your mileage. Metromile, a company that sells pay-per-mile insurance, claims that it can save low-mileage drivers - those who drive under 200 miles per week - an average of $500 a year. Esurance also offers a pay-per-mile plan that it recommends for anyone who drives less than 10,000 miles per year. Being a Good Student. In general, insurers charge higher rates to younger drivers. However, high school and college students who have at least a B grade average can often get a break on the price. That's because good students tend to drive more carefully and get into fewer accidents. Good students can save between 5% and 15% on their policies. Being an Older Driver. Some companies offer a mature driver discount for people over age 55 who are safe drivers. To get this discount, you usually have to take a driver safety course. SeniorDiscounts.com reports that drivers who take one such course can save 5% to 15% on their policies over the next three years. Having Safety Features. The more safety features you have in your car, the less likely you are to get into an accident or become seriously hurt. That's good news for your insurer since it means you're less likely to make a large claim. Thus, many insurers reward you for having features like airbags, anti-lock brakes, and automatic seat belts. Anti-theft systems, such as a car alarm, can also get you a price break. However, these discounts are much smaller - usually just a few dollars. Sticking With One Company. Many companies reward their long-term customers with a loyalty discount - usually around 10%. Be careful, though, and don't let that bonus discourage you from shopping around for a better rate. A 10% discount isn't worth much if you're overpaying by 25% on your premiums. Paying Your Bill in a Lump Sum. Paying your insurance bill once a month is convenient, but it comes with a cost. Many insurers charge a processing fee of a few dollars for each monthly payment. If this fee is $5 a month, then you can save $60 a year by paying your whole bill up front. When an insurance company is trying to decide your risk level, one factor it looks at is your credit score. That may not seem to make much sense since your borrowing habits have nothing to do with your driving. However, it turns out drivers who have good credit tend to have fewer accidents. Your credit score has a huge impact on the price you pay for insurance. Consumer Reports found that single people with top-notch credit pay anywhere from $68 to $526 less per year than drivers whose credit scores are just okay. In fact, in some states, your credit rating affects your rate even more than your driving record. There are several ways to check your credit score for free and find out how it could be affecting your insurance rates. MyFICO.com can give you a rough estimate of your score in just a few minutes. For a more precise score that you can track over time, try a free service like Credit Karma or Credit Sesame. If your score seems lower than it should be, there could be an error in your credit report. To find out, get a free credit report and check it over. If you find a mistake, contact the credit bureau to correct the credit error. Either stop using your credit cards or keep new charges to a minimum. Work to pay off your debts as fast as possible. Avoid applying for new credit accounts, as each new inquiry dings your score. Doing all this takes time, so you won't see your credit score improve overnight. However, it's well worth the effort. A good credit score has benefits that extend beyond your insurance rates. It can make it easier to buy a home, get better deals on credit cards, and even land a job. Companies use your credit score to get an idea of how good a driver you are, but they also look at your actual driving record. If you've had several accidents recently, your rate will be higher. It will also go up if you have a lot of moving violations, such as speeding tickets or running red lights. These signal to the insurance company that you're a risky driver who's more likely to get into an accident. Your driving record affects your insurance rate more than almost anything else. According to DMV.org, in some states, a single speeding ticket can double or even triple your premiums. After a serious traffic violation, your rates are likely to stay high for the next three years. The same also applies to an accident in which you're found to be at fault. Keep Your Speed Down. Most people speed a little from time to time, but try not to go over the speed limit by more than 15 miles per hour. This could get you a ticket for "excessive speeding," which carries a stiffer penalty and affects your rates more. Stay Sober. Whatever you do, don't get behind the wheel after you've been drinking. If you're convicted of DWI (drunk driving), not only will your premiums shoot way up, but there's a good chance your insurer will refuse to renew your policy at all. That could force you into a special insurance pool for high-risk drivers, where the rates tend to be sky-high. Stay Awake. Although there are no laws against it, studies show that driving drowsy can be every bit as dangerous as driving drunk. You won't get a ticket, but you could easily get into an accident that will jack up your rates. So if you're low on sleep, get someone else to drive, or call a cab. If you find yourself nodding off behind the wheel, pull over and get some coffee or take a nap. Avoid Distractions. Don't talk on a cell phone while driving - even a hands-free one. Talking to a passenger in the car is safer, but it's still best to put the conversation on hold if you have to navigate a tricky road situation. And try to avoid other distractions, such as eating, drinking, or fiddling with the radio, while you're in heavy traffic. Take a Course. If you already have a couple of tickets on your record, you can often reduce your rates by taking a defensive driving course. These courses can knock points off your license, making your record clean again. For a one-time fee of around $20 and a few hours of your time, you could save hundreds over the next several years. Even if your driving record is clean, a course like this could reduce your premiums by 10% or so. Price. An expensive car costs more to repair or replace than a cheap one. Thus, the insurance company has more to lose if it's damaged. Cost of Repairs. Some cars are more costly to repair than others. For example, certain foreign cars require special parts that have to be imported. That adds to the costs an insurer could have to pay in an accident. Safety Record. Some cars are more likely than others to be in accidents. For instance, smaller and sportier cars are considered risky because the people who buy them usually like to drive fast. A minivan, on the other hand, is more likely to be driven at a sedate speed. It's also more likely to survive a crash with minimal damage. Ratings from the Insurance Institute for Highway Safety can tell you how well a particular model does at avoiding and surviving crashes. Chance of Theft. The most commonly stolen cars aren't always flashy and expensive. Thieves often target common, ordinary cars because they can easily be sold for parts. Older Honda Accords and Civics are very popular with thieves, because they're fairly easy to steal and there's a good market for the parts. None of this means that you should trade in a car you're happy with just to save a hundred bucks or so on insurance. However, if you happen to be shopping around for a new car, it's worth checking the insurance costs before you buy. When you're dealing with insurance companies, don't get distracted by discounts. Some insurers offer a long laundry list of discounts for everything from safe driving to paying your bill online. However, that doesn't help much if their rates are higher to start with. You're looking for the lowest overall price, not the largest number of discounts. So when you're comparing insurers, look at your personal situation. Get accurate quotes targeted to you, which factor in your age, where you live, and the car you drive. That way, you can compare apples to apples and see which policy has the lowest bottom line. How much do you pay for auto insurance? Have you taken any steps to lower your rate?